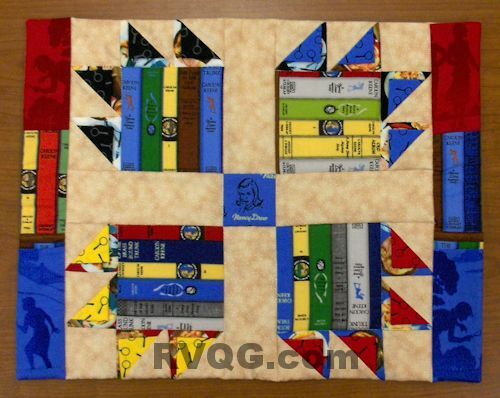 Members may enter one placemat, with the idea of donating it to the children’s department of a local hospital to use for their patients. The title of your placemat will be the name of the piece of literature you have chosen, e.g. 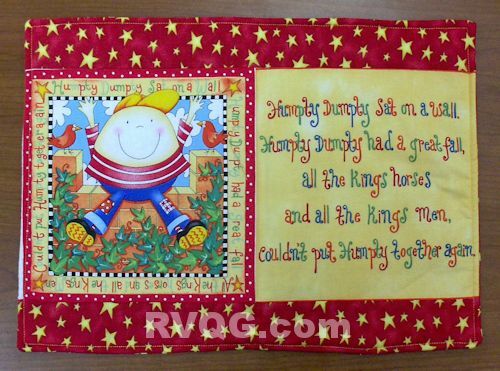 “Humpty Dumpty.” Appliqué, piece blocks, use specific fabric or whatever you choose, and of course add your imagination. We can't wait to see everyone's ideas!